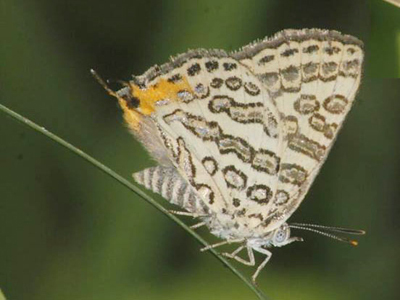 PASIGHAT, May 27: A rare species of butterfly, Lilac silverline, was discovered in Daying Ering Wildlife Sanctuary (DEWS) in East Siang district during a survey conducted by a team of Bombay Natural History Society (BNHS) recently. Earlier, such rare species were found in the natural forests in Bengaluru; but there was no report of discovery of this species from the Northeastern region. In 2009, zoologists from the Arunachal State Forest Research Institute had rediscovered another rare butterfly species – Bhagadatta (Austenia purpurascens) – in Dihang Dibang Biosphere Reserve, which was recorded by the BNHS in 1915 near the then Abor Hills in present East Siang district. The team of scientists also observed safe movement of Bengal florican (Houbaropsis bengalensis), Black breasted parrotbill (Paradoxornis flavirostris), and other rare winged species in the sanctuary, according to wildlife officials here. 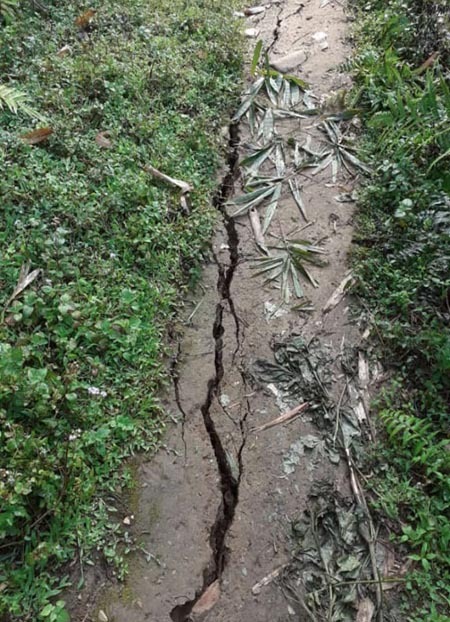 Pasighat Divisional Forest Officer (Wildlife) Tasang Taga informed that a team comprising members of the BNHS, NGO Aaranyak, and the Wildlife Trust India carried out a survey on the population of endangered species in the Daying Ering sanctuary, and reported movement of several endangered birds, mammals, and butterflies. The experts also observed a suitable habitat of the Royal Bengal tiger in the sanctuary. Former BNHS director Asad R Rahmani, who earlier conducted survey work in the wildlife sanctuaries of Arunachal, said the sanctuary needs more care and attention from the government’s end as it is facing constant threats from hunters, poachers and cattle-grazers from the fringe villages. Taga informed that his officials are “trying to revive the lost glory of the sanctuary through enhancing the protection forces, besides creating awareness among the fringe villagers about conservation. “I have made repeated communications with the higher-ups of the department, seeking fund to boost infrastructure and depute adequate forest staffs, along with Tiger Protection Force, but to no avail. We have introduced drone surveillance to detect suspected movements inside the sanctuary on a regular basis,” said the DFO. Meanwhile, the wildlife officials in the district have been organizing awareness camps at fringe villages to make the locals people aware of the need of wildlife conservation. DFO Taga is optimistic that the sanctuary, once it is promoted as a tourist destination, would provide alternative livelihood to the people of the fringe villages and help in reducing the villagers’ dependence on the sanctuary.